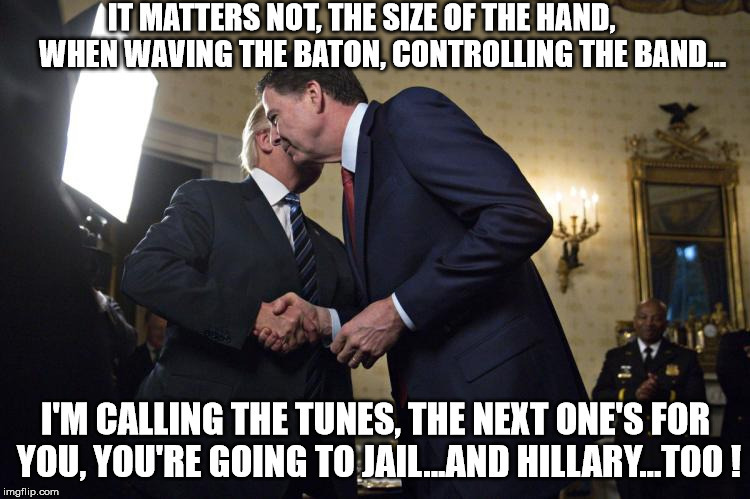 Trump explains hand size to Comey - it's how you use it! Trump explains hand size to Comey - it's what you do with it...apparently! IT MATTERS NOT, THE SIZE OF THE HAND, WHEN WAVING THE BATON, CONTROLLING THE BAND... I'M CALLING THE TUNES, THE NEXT ONE'S FOR YOU, YOU'RE GOING TO JAIL...AND HILLARY...TOO !